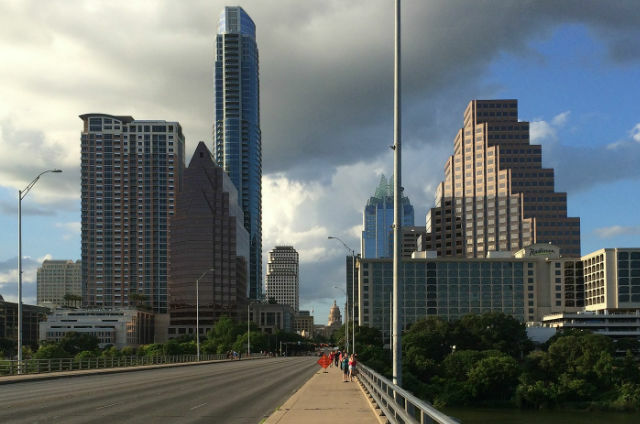 Austin isn’t well-known for its pedestrian and bicycle-friendly roads. The downtown district of Austin may be walkable due to its high volume of foot traffic associated with people going to and from work, but other areas of the city are notorious for being dangerous or even deadly to pedestrians. With nearly 20 to 30 pedestrian fatalities each year in Austin, and many more injured in pedestrian accidents, this presents a problem for those who are interested in methods of commute that don’t involve motor vehicles. For those interested in walking or biking in Austin, I have delineated what you need to know and what you should do to avoid a pedestrian accident. I have also specified what you should do if you or a loved one gets in an accident. As a pedestrian accident attorney in Austin, I have extensive experience in helping people and families that are suffering from injury or fatality. After reading this guide, make sure to contact me and receive a free consultation about your case. Historically, the month with the highest number of fatalities in Austin is generally June. There is no specific reason for this, but we can extrapolate that it is because summer is closely approaching but hasn’t reached its peak. This means more people are outside enjoying the outdoors and looking for alternative ways to commute to work or are simply walking and biking for recreation. Regardless the time of year, most Austin fatalities happen on the weekends, and more pedestrians are fatally injured than bicyclists. These simple facts teach can teach us a lot about pedestrian accidents in Austin. The first is that it is important to recognize and avoid dangerous roads in a commute, such as I-35, and to make sure you are paying attention to your surroundings in even seemingly innocuous neighborhoods. The second lesson is either to avoid walking/biking on the weekends due to the increased traffic (with nearly a million people out running errands) or make sure to avoid vehicle-dense areas while on foot. The last lesson we can learn is to be even more careful when you are on foot than when you are on a bike. Bikers, aside from being generally more noticeable than pedestrians, also wear head gear – or at least they should – that can protect them in the event of an accident. Pedestrians are much worse off in an accident because not only can they suffer major head trauma, the risk of being dragged beneath a car is much greater. To stay safe, pedestrians should walk on sidewalks as much as possible. If there is no sidewalk, pedestrians should face oncoming traffic in order to see and avoid potential vehicle threats. When crossing roads, especially in congested areas, but even in residential neighborhoods, it is important to use crosswalks and to heed stop lights. Event with a “walk” light, pedestrians should look to make sure that cars which are turning see them by making eye contact and being wary of their surroundings. Sometimes, regardless the precautions pedestrians take, negligent drivers still cause accidents resulting in death or other major injuries (such as broken bones, fractured skulls, brain damage, etc.). The medical costs, the emotional turmoil of an accident, the funeral expenses, and much more are very stressful and can cause major concern for families and injured individuals. If you are injured as a pedestrian or if a loved one has died in a pedestrian accident, you have rights and a claim to compensation. It has been proven time and again that hiring an Austin pedestrian accident attorney will get you a better compensation to help pay for medical bills, funeral costs, lost wages, and overall pain and suffering, which is why it is important to call me in the event of your accident. An attorney such as myself will know the ins and outs of insurance systems and different avenues to protect your rights and secure benefits that belong to you. The sooner you contact me, the sooner you will be able to claim your compensation, peace of mind, and knowledge that you have people who are willing to fight for you. Call me today for a free consultation if you or a loved one has gotten into an accident. Most importantly, stay safe and walk carefully! Is a Pedestrian Ever At-Fault in an Accident?